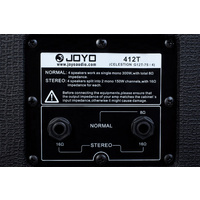 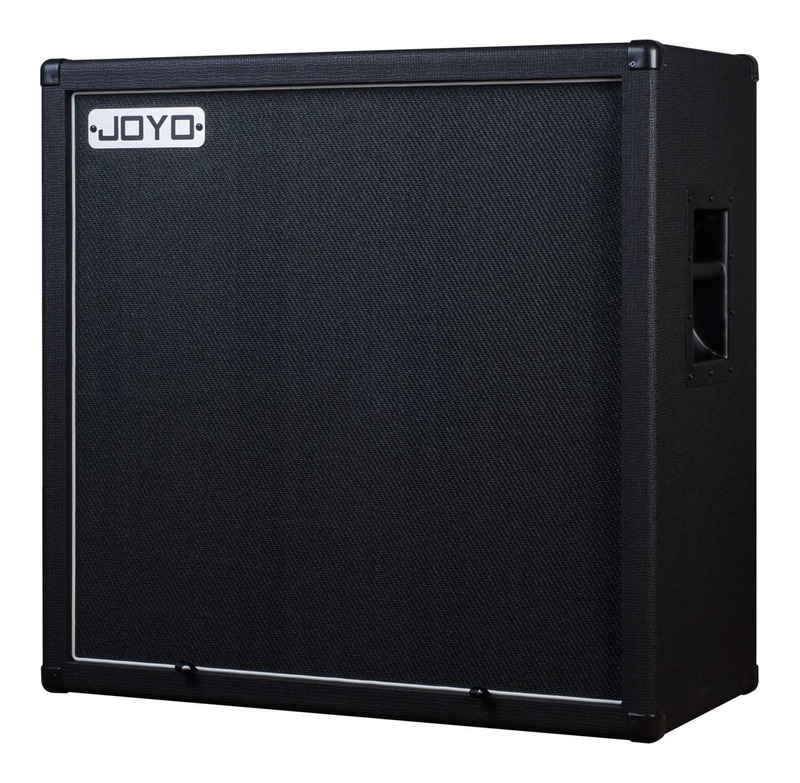 Able to meet the demands of high gain amplifiers, the JOYO 412T features 4 Celestion G12T-75 12" loudspeakers, making this a high-powered rock player's dream. 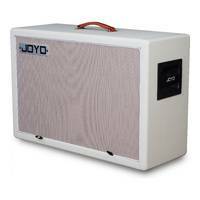 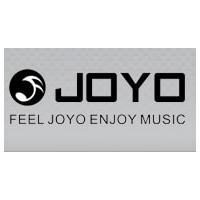 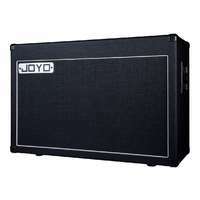 The JOYO 412T can be coupled with most guitar amplifier heads available on the market. 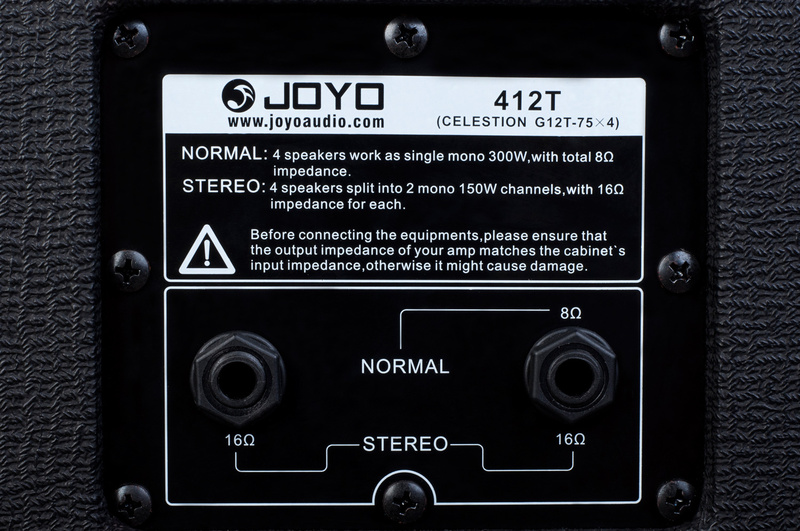 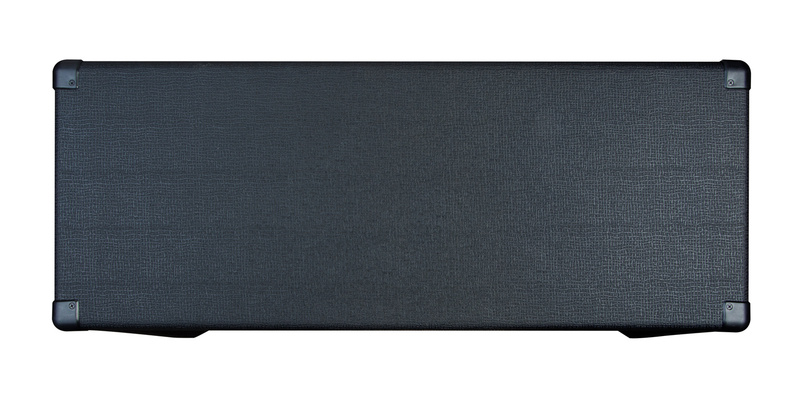 Using the "Normal" 8ohm input utilises the 4 speakers as a mono 240W output, while the "Stereo" dual inputs split the speakers into 2 mono 120W channels, with 16ohm impedance each. 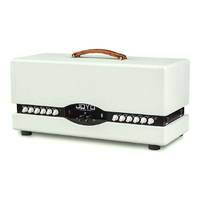 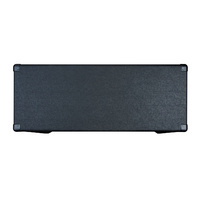 The sturdy, box design is commonly found among 4x12 cabinets used in all different genres. 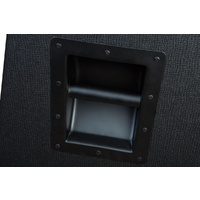 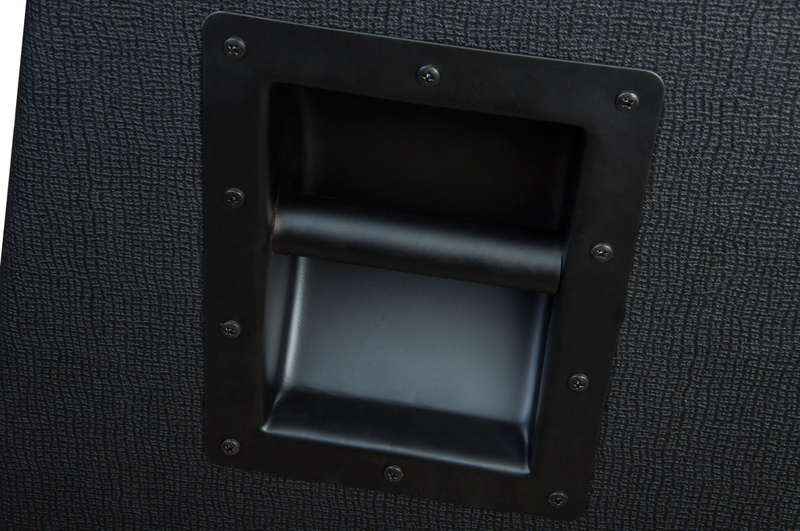 Large, metal handles are bolted in either side for ease of transportation, and the corner quards provide protection against any bumps or knocks. 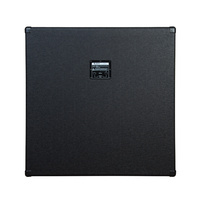 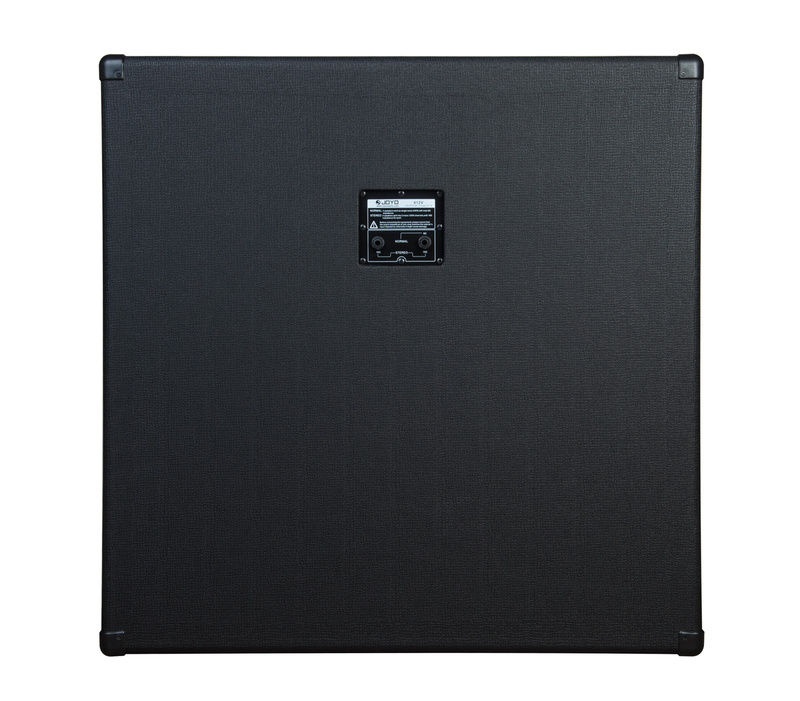 This cabinet is also suited to have another placed on top, for larger live set ups. 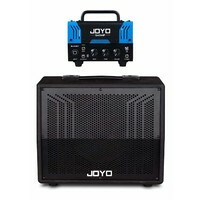 The 412T is the perfect match for the slanted JOYO 412V.